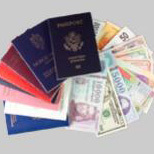 Keesing DocumentChecker™ offers on-line access to today’s largest on-line reference database of the world’s banknote documents. This exclusive online database offers detailed descriptions and images of thousands of banknotes from over 180 countries. It also provides details of their key public security features. A smart search engine instantly retrieves the information you’re looking for. Keesing DocumentChecker™ is a must-have tool for detecting document fraud. It is currently used by many organizations, including large European banks and Financial Institutions. 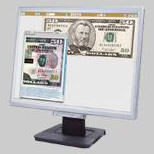 Developed by our subsidiary, the Keesing SmartChecker® is an interactive application for banknote authentication. User friendly and efficient, this application installed on your smarpthone grants you an access to security feature document database. Both sides of a banknote are very significant to have a reliable check. Keesing SmartChecker® gives you clear, relevant and secure information side by side.